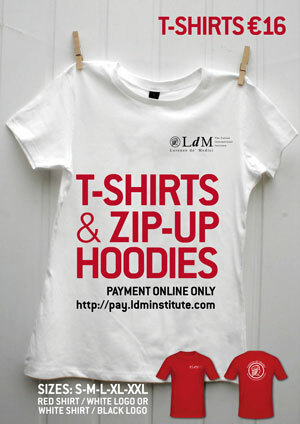 You can now purchase a keepsake of your study abroad experience at LdM! 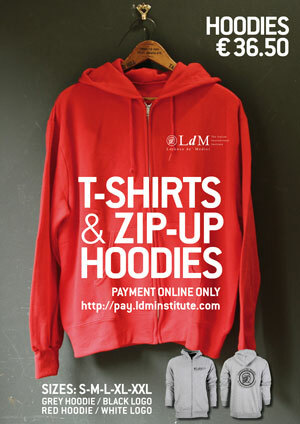 LdM offers both sweatshirts (red or grey) and T-shirts (red or white) in a variety of sizes for purchase. Merchandise must be ordered online and can be picked up in-person at the Student Services Office. We do not usually ship overseas, however, if you are interested you can inquire at [email protected] as the shipping costs and delivery times may vary.